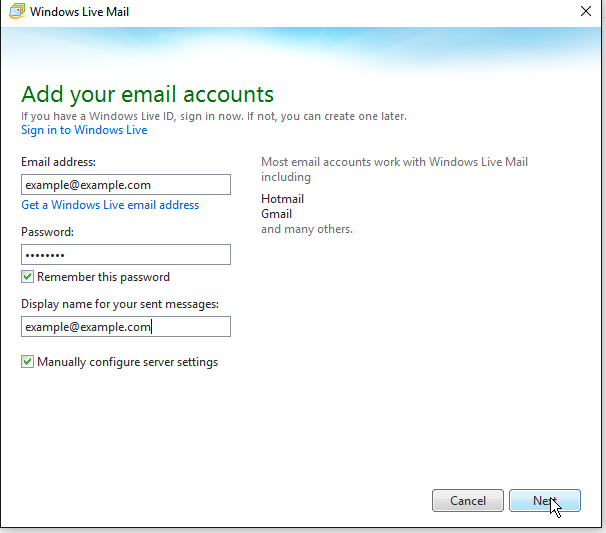 To set up your emails in Windows Live Mail, please follow the below steps. You will need all your email account settings to continue, if you do not have this information then please email our support team on support@sitewizard.co.uk, or by giving us a call on 01622 200045. Fill in the email address, password with your email account settings. The display name can be anything you like, but we recommend entering this as your email address. On the next screen, make sure the Server Type is set to POP. Enter in your Incoming hostname into the Server Address box that is on the left, and your username (email address) into the Logon user name box that in the bottom left. 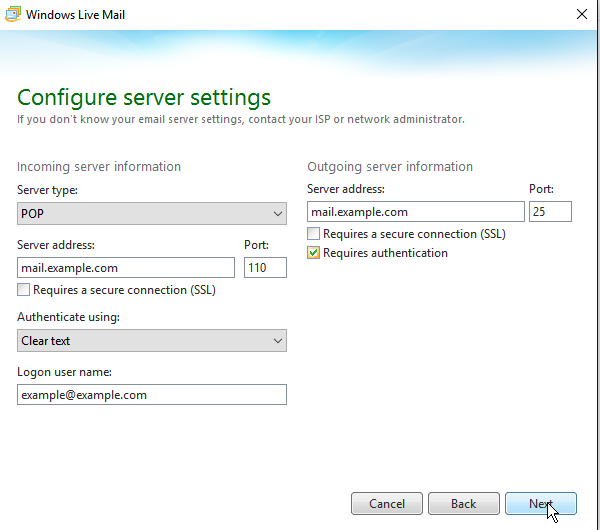 On the right hand side, enter in your Outgoing SMTP hostname into the Server Address box, and then just tick the box that says Requires Authentication. Click on Next, and then you are finished. If you are receiving errors when following these steps, double check that everything was entered correctly, failing that, give us a call on 01622 200045.